Mercedes C-class owners will be able to add new functions such as predictive cruise control when the technology becomes available. The new Mercedes-Benz C class has cameras that can read road signs and sensors to judge distance to the car in front, but is not yet able to make full use of the hardware. What may sound like a shortcoming is in fact a deliberate strategy by Daimler, and a sign of things to come for the global luxury car industry. Owners of the C class will be able to add new functions such as predictive cruise control -- which lets the car drive itself in some situations -- by updating the car's operating system when the technology becomes available. That is a big change -- and a potential saving -- for an industry used to spending heavily to revamp aging models. "We are entering a new era," Mercedes-Benz development chief Thomas Weber said. "Until now, cars retained the properties they had on the day they were purchased." "What we are witnessing is a change that will impact the industry for decades to come," said Koslowski, who used to work at Audi. "The next venue of competitive differentiation will come from software." With a software upgrade on the electric Model S sedan, Tesla engineers commanded the car's suspension system to increase ground clearance at highway speeds. While some drivers remain skeptical about surrendering control, many are ready to embrace functions which let them access information, make calls, e-mail or listen to music in traffic, according to supplier Continental, which interviewed 4,000 car owners in Germany, Japan, the United States and China. 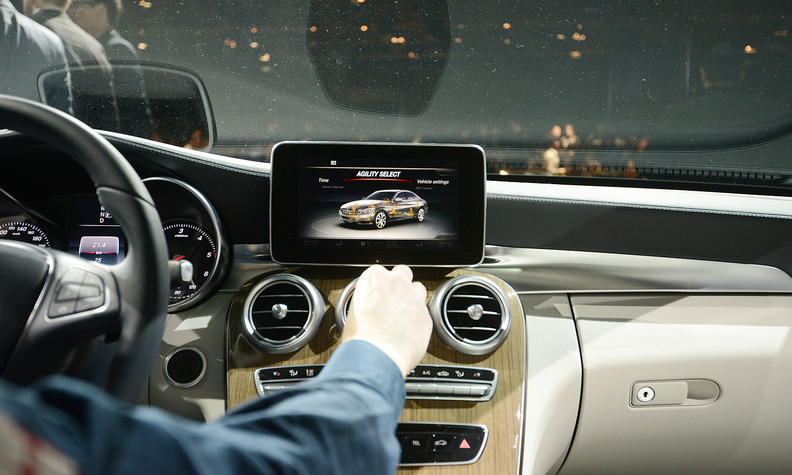 "What a customer knows from his smartphone, he will also expect from his car," Mercedes' Weber said. Gartner's Koslowski believes the promise of software updates will become a major selling point for carmakers. 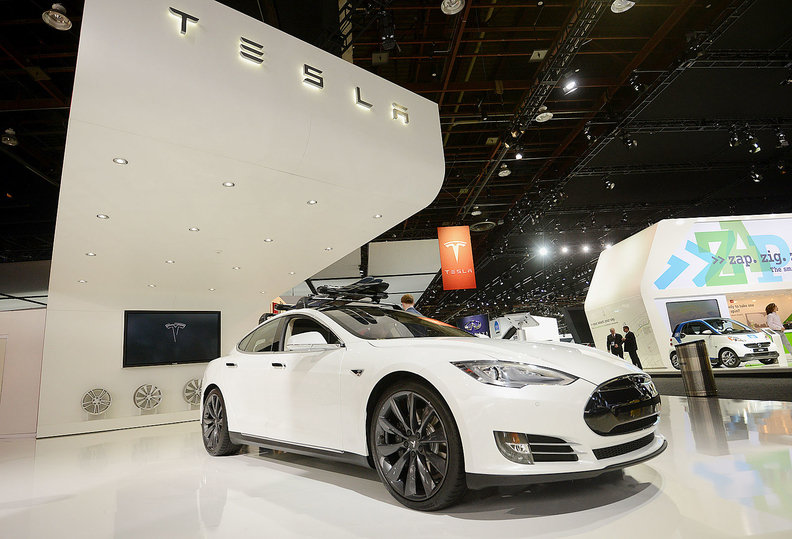 "The average consumer doesn't really detect advancements in mechanical engineering. But they understand an upgrade in infotainment," he said. Software is also starting to help drivers in a myriad of other ways. For example, it allows drivers of BMW's i3 electric vehicle to gauge whether a battery has sufficient charge to reach a destination. In some cities, the car can even help to look up the timetable of alternative transport methods such as trains and buses, and find a nearby charging station. Increasingly, system updates can alter a car's actual driving performance. An upgrade to Tesla's electric Model S sedan, for instance, commanded the suspension to increase ground clearance at highway speeds. Mercedes, meanwhile, is working to offer predictive cruise control in its cars and trucks, a tool to adapt a vehicle's engine revs and gear to suit the gradient of a slope. "If the car is equipped with the right hardware, you can add functions at a later stage," he said ahead of this week's Detroit auto show, where the new C-Class was showcased. The promise of advancements in software has led Mercedes-Benz to overhaul its research and development operations in California. It plans to double resources at a new headquarters in Sunnyvale, where around 100 staff work, although it declined to put a timeframe or figure on the investment.